Along with the EOS 80D Canon also announced a new EF-S18-135mm f/3.5-5.6 IS USM lens, which uses the company’s Nano USM focusing system for quieter and smoother autofocus. This will be available from April onwards. It also added a new accessory to its roster called the Power Zoom Adapter PZ-E1, for variable powered zoom with a compatible lens. Specifically designed for video this is a zoom servo that has 10 different levels of zoom speed control. It can be controlled via switches on the lens, or via the Canon Camera Connect app on a tablet or PC. The zoom unit is actually detachable and has contacts and a motorised gear that mates with dedicated contacts on the 18-135mm lens. This means that sadly it won’t work with other existing zoom lenses, but it does mean that the same adapter could conceivably be used on future Canon stills zooms. I expect the zoom on the new Canon to function much like Sony’s power zoom hybrid consumer lenses like the 18-200 and 18-105 PZ. Power to the servo comes via four regular AAA type batteries. 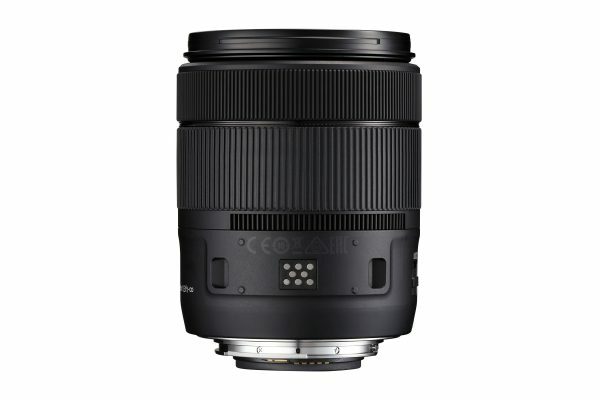 The EF-S 18-135mm f3.5-5.6 IS USM is also equipped with a new type of drive motor called Nano USM. It answers one of the criticisms of the previous 18-135mm STM lens, namely that it had slow focussing in stills mode. Nano USM offers the smoother autofocus of the STM (stepping motor) technology for video, with the ring USM technology for moving stills subjects. This is a move from Canon that is clearly aimed at consumers who want to shoot video on their DSLRs. For professional use it is limited in practicality due to the variable aperture of the lens, ramping as it does from f3.5 to f5.6. Although it is unlikely that you would zoom all the way from one end to the other in the same shot, the change in lens aperture might not be so noticeable for small, slow push ins during interviews etc. Perhaps more interesting for multimedia shooters and solo video journalists is the remote control. Combined with Dual-Pixel CMOS AF on the latest Canons you could potentially adjust both zoom and focus remotely while filming an interview. It might also be useful for single shooters trying to do two person interviews with two or three cameras. Canon India has not yet confirmed a price for the zoom attachment or the lens, but they did confirm that both of them would be available from April onwards.